Posted on October 1, 2013 by patersoner Tagged Centers for Disease Control and PreventionEmergency departmentNarcoticNew JerseyPainPain managementPrescription drug	Comments1 Comment on In the ER: Too Much or Too Little Pain Medication? So where does emergency medicine come in? How big of a source of narcotics and other controlled substances are we? During a meeting with officials involved in the PMP they stated that 340,000,000 tablets of narcotics are prescribed in the State every year. That seems like a lot but how much knowingly (more on that later) comes from emergency physicians?There really is no good published data. But I have my own…. 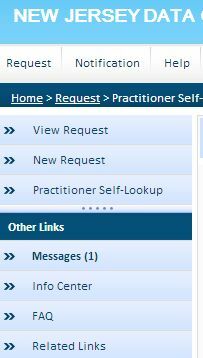 According to the Practitioner Self-Lookup (See Tip Box below) in the last 12 months my patients have filled approximately 300 prescriptions (4,599 tablets) for narcotics in pharmacies in the State of NJ. The average was for 15 pills of a 5mg oxycodone compound. During that time period I treated about 3,000 patients over 1200 clinical hours (almost exclusively adults). If emergency physicians throughout the state have similar experiences than we account for 2-4% of narcotics prescribed. Hardly the likely source of most diverted or abused narcotics. From my own personal experience non-selective use of the PMP (checking everyone) is low yield (less than 8%) in terms of identifying at-risk patients. But that does not mean we don’t have a role in reducing abuse. Significant improvements to the user interface. As emergency physicians we are on the front lines of treating the devastating effects of drug abuse (including prescription medications). Selected use of the NJ PMP can be effective in identifying patients at risk of prescription drug abuse and diversion. Mandatory use in the acute care setting would be cumbersome, low yield and targeted at only a small percentage of narcotics prescribed. Increased resources to treat both addiction and pseudoaddiction are needed in our State. Programs that remove unused controlled substances from medicine cabinets (in NJ Project Medicine Drop) are vital and need to be expanded. 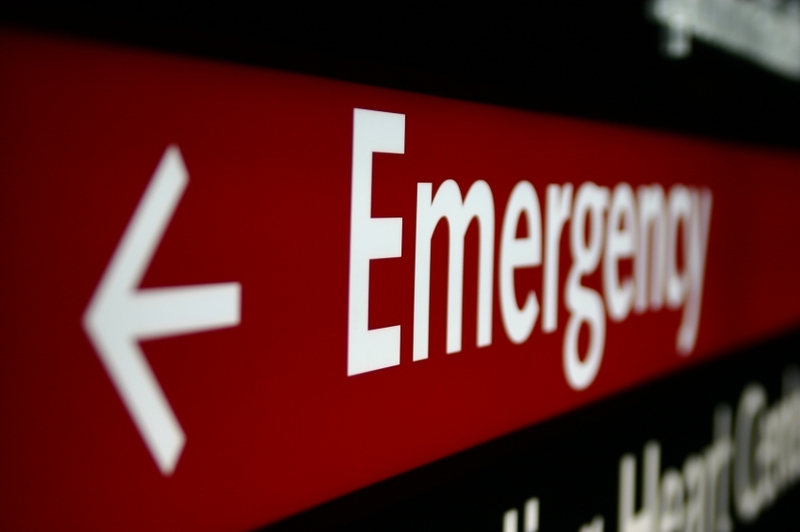 As with many of our patients lack of access to appropriate care (primary care, pain management, palliative services) causes those with chronic pain to seek piecemeal treatment in the emergency department. We will continue to update you throughout the year as more information becomes available. As always we want to hear your thoughts. TIP: Physicians should periodically check the Self-Lookup section of the PMP to ensure we are not victims of fraudulent prescriptions or identity theft. 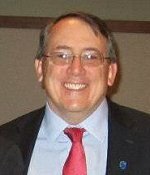 Dr. Adinaro is the president of NJ-ACEP for 2013-14 and is the Chief of the Adult Emergency Department at St. Joseph’s Regional Medical Center in Paterson, NJ. He is also the current editor of this blog and the series: “Year of Confusion…Year of Opportunity: 20 Things Changing Emergency Medicine”. Dr. Adinaro can be reached via @PatersonER and his personal blog: PatersonER.com. This publication represents the personal opinion of the author and does not reflect the official policy of NJ-ACEP or the American College of Emergency Physicians. You can contact us here. This entry was posted in drug abuse, emergency medicine, opioids, patient safety and tagged Centers for Disease Control and Prevention, Emergency department, Narcotic, New Jersey, Pain, Pain management, Prescription drug. Bookmark the permalink.